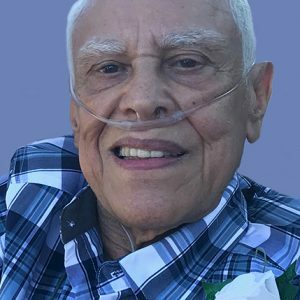 William Roman of Kimball died Saturday, Nov. 10, 2018, at Lakeside Oasis Hospice of Lake Ridge Care Center in Buffalo. He was 76. Memorial services will be held at 1 p.m. Thursday, Nov. 15, at Dingmann Funeral Care Chapel in Kimball with visitation one hour prior to the service. Fr. Marty Shallbetter will officiate. William Roman was born as Guillermo Roman April 11, 1942, in San Juan, Puerto Rico, to Guillermo Roman Martinez and Modesta (Cruz) Roman. His family lived in Caguas, P.R., until Bill was 10 years old. They moved to Chicago, Ill., where Bill graduated from high school and resided until moving to St. Cloud at the age of 23. In 1991, Bill moved to Kimball where he remained the rest of his life. Bill worked for the City of St. Cloud as a plant operator of the wastewater treatment plant. He was a member of St. Anne’s Catholic Church in Kimball. He was an animal lover who could often be seen around town driving his electric cart with his cat in its bin. Bill was a social guy who enjoyed good conversation over a cup of coffee. Bill was preceded in death by his parents and sister Maria Medina. He is survived by his children Eric (and Anna) Brewer of Clermont, Fl., Michael (and Valarie) Roman of Stewart, Emily (and Sam) Fernandes of Buffalo, Timothy (and Heather) Roman of Minneapolis, and Bridgett Roman of Minneapolis; six grandchildren: Valentina, Charles, Mikhail, Sofia, Carson and Zoe; brother Rafael (and Elizabeth) Roman of Tampa, Fl. ; sisters Minerva Roman of Arecibo, P.R., Margarta Perez of Kissimmee, Fl., and Aida “Curqui” Roman of Chicago; and brother-in-law Robert Medina of Louisville, Ky.